Original Article by VIRGINIA VAN ZANTEN of Vogue Magazine. Baby-friendly vacations bring nightmare scenarios to mind: bland all-inclusives, mid-flight meltdowns, and being relegated to properties that are the hotel equivalent of a high chair—functional, generic, and easy to wipe down in the (inevitable) case of a mess. After the birth of our first child and months of putting our usual routine of multiple long-haul trips a year on hold, my husband and I were starting to get cabin fever. I started wistfully musing about the woman we saw breastfeeding her 3-month-old in the middle of the W Trek in Patagonia’s Torres del Paine and the British couple we met in Marrakesh with a newborn happily resting in a carrier on his mother’s chest. Then I remembered that until very recently, I got stressed taking our little guy on the subway. It was a time for a trip. But we needed to start small. We had a few conditions: within driving distance, an interesting location but not overwhelming, a hotel we’d have stayed in pre-baby (read: no bland big chains), and somewhere that seemed “family-friendly”—whatever that meant. 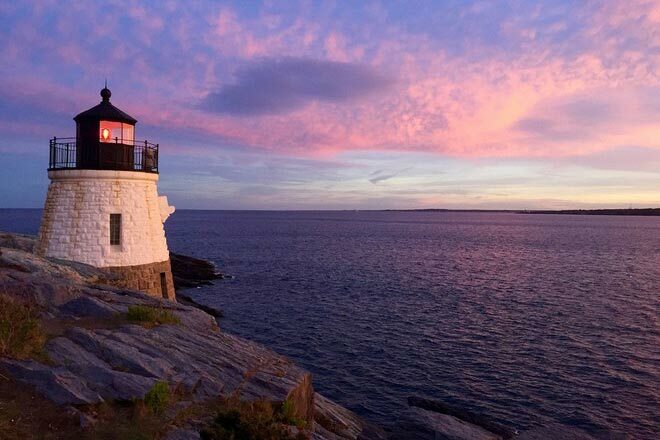 We went back and forth, but ended up settling on Newport, Rhode Island. We endured a bit of ribbing from friends about taking an infant to Gilded Age mansions, but it turns out that choosing Newport was the first thing we got right while planning our inaugural family getaway. The second thing we got right was having wheels. It turns out that the old trope of the family road trip exists for a reason: you can schlep far more stuff than you can on a flight (yes, babies need a lot of gear), the occasional meltdown won’t disturb dozens of other travelers, and your schedule can be entirely flexible. We had the added luxury of driving up in a rented Range Rover—while our little guy is a bit young for screens, the back seat monitors would be catnip for older travelers (for him, the ceiling-spanning sunroof was endlessly entertaining); the cooler in the front console was key for storing bottles; the soft-close doors made switching drivers mid-nap less tenuous (you don’t know stress until you try to do anything potentially noisy while your baby is sleeping); and the front seats had a massage function—yes, a massage function. When you’re spending several hours in a car with an infant, every convenience (and luxury) goes a long way. One thing we got wrong? Assuming we could do the drive in one shot. What should have been a three-and-a-half-hour drive became a bit more than five. We put our son in the car as soon as he woke up in the morning and fed him breakfast en route (genius), but after about two hours of peekaboo and reading, it was clear that it was time to get some fresh air. Do yourself a favor and plan a couple of stopping points along the way—a scenic vista, a cute coffee shop, anything. It will save you from walking a toddling baby endlessly around a truck stop. While there is so much to see and do in Newport, with a baby along for the ride, make all plans flexible and dramatically under-schedule. Assuming your little one is an early riser, make a cup of coffee in your room and set out for a stroll along the incredibly scenic Cliff Walk—the three and a half–mile path along the edge of the bay that begins at the foot of the hotel’s property. It’s all the better if you can time the trip to coincide with one of the stunning sunrises. We brought a super-portable and one-hand collapsible stroller—the Mima Zigi—(don’t bother with your bulky stroller, it’s not worth the schlep) and were pleasantly surprised to find that the majority of the path is nicely paved. There are a few jogs of stairs, but they were no problem with such a lightweight pram. 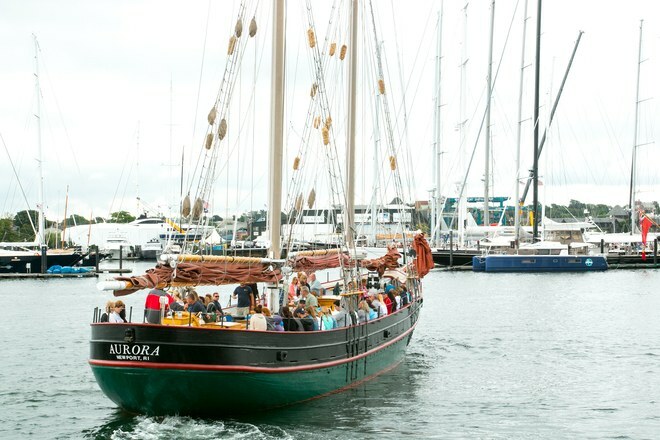 Later, a sail aboard the Schooner Aquidneck was a great way to get our lay of the land—passing through Newport Harbor, Narragansett Bay, and past sites like Fort Adams, Hammersmith Farm (the childhood home of Jackie Kennedy), and Ocean Drive—and it was no problem to bring our son onboard in his front-carrier. The kind crew also didn’t mind when we commandeered the area below deck when it became abundantly clear that a nap was in order. 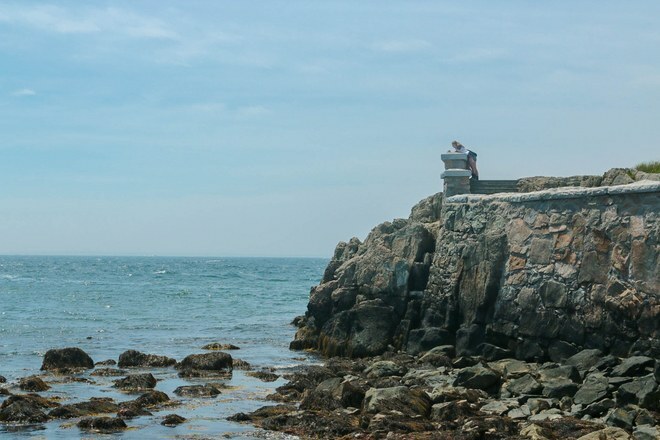 Another front-carrier-friendly way to see the area is Rail Explorers—a pedal car tour that winds along Aquidneck Island and Naragansett Bay. 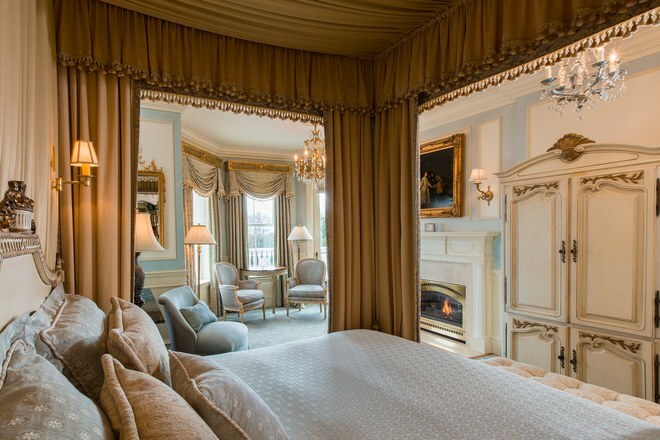 Load in the car—perhaps during nap time—and go for a self-guided tour of some of the grand oceanfront drives and stunning properties on Bellevue Avenue. A route like this will take about 45 minutes, but allow for a bit more time to get lost in side streets and stop along the way to enjoy the views. If weather permits, request a picnic from the hotel and stop for lunch al fresco at Breton Point State Park. 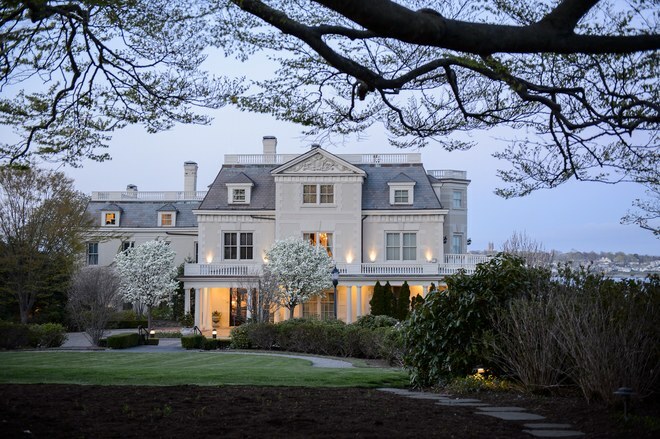 Of course no visit would be complete without a few tours of Newport’s grand mansions. While strollers aren’t allowed inside the properties, our son was quite welcome and was content to peer out at the gilding and mirrors and myriad shiny things from his front-carrier as well as do a bit of toddling on his own when we let him out on the oceanfront lawns of The Breakers. Because most of the mansions offer self-guided audio tours, we could breeze through at the pace necessary to keep a baby occupied—which is to say, very quickly. We may not have learned about all of the nuances of the properties, but we were able to fit in three mansion tours in the time it usually would have taken us to see just one. There are quite a few other things to see and do in Newport with a little one—go to Sweet Berry Farm, just a short drive outside of town, for apple picking and a quick bite; visit the tiny, quirky aquarium to experience the “touch tanks” where kids can gently touch sharks, crabs, starfish, and more; take a stroll on the sand and play in the surf at Easton’s Beach just a short walk from the hotel; or walk around town and stop in the Audrain Auto Museum to marvel at the vintage cars. Make a point of ending one evening with a dinner at the newly reopened Stoneacre Brasserie. While the elegant menu—heirloom carrot gnocchi, fantastic steak tartare—might suggest otherwise, the restaurant is completely family-friendly (we sat our son right on the table in his Bumbo seat and nobody batted an eyelid).